There’s also a French version, Broderies nordiques , which will be published at the same time. I’ve known of the original Swedish version of the book for a few years – and I wanted a copy of that but it was just a bit awkward/expensive to get hold of here in England. And I could never find it in Denmark. 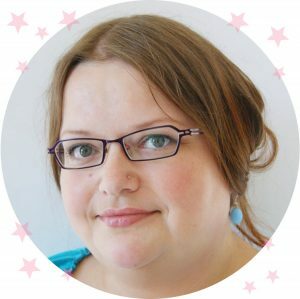 So I was super excited when I heard it would be published overhere. 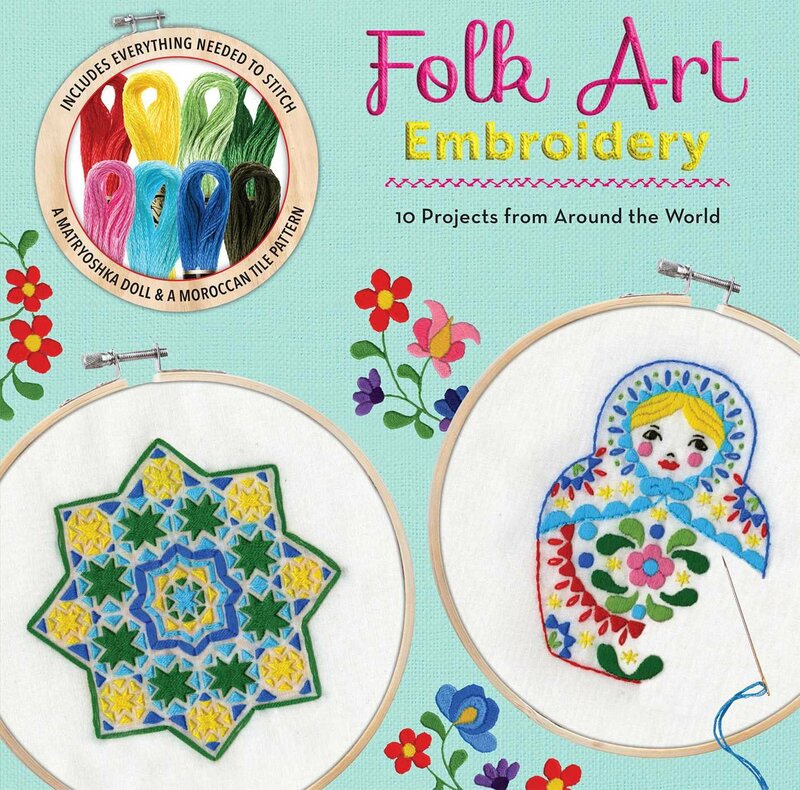 As you may know I have a soft spot for folk art and Scandinavian folk art in particular. 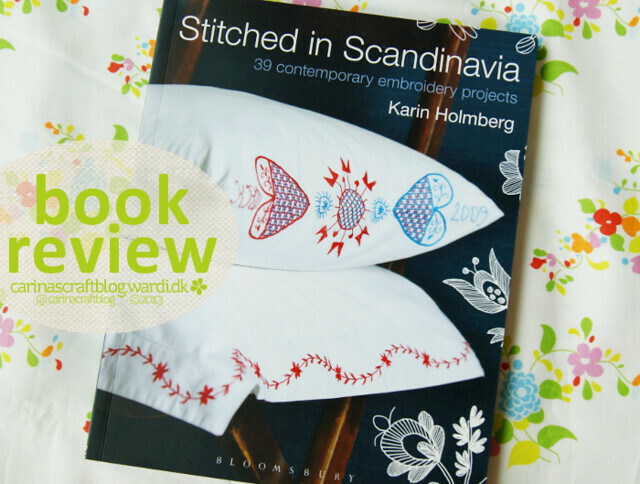 Well, the work of Karin Holmberg is very much influences by the traditional embroidery types of her natve Sweden. 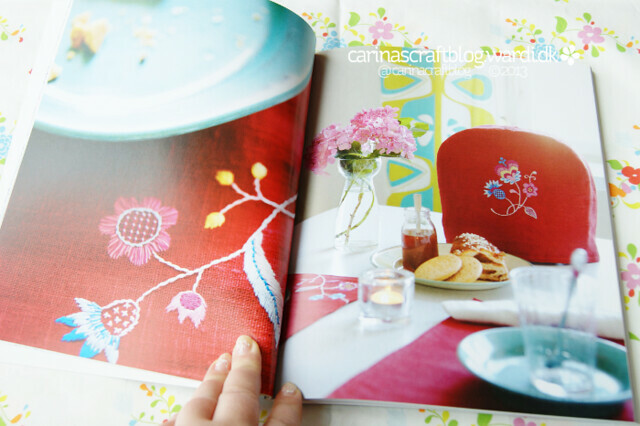 It has a modern feel but you can definitely see the connection with needlework of the past. There are quite a lot of projects, 39 in total. Some are variations of a particular type of projects but not in a way that makes it seem samey-samey. All the projects have a fresh contemporary feel, yet also retaining a sense of tradition. And a lot of them are really colourful which I love! 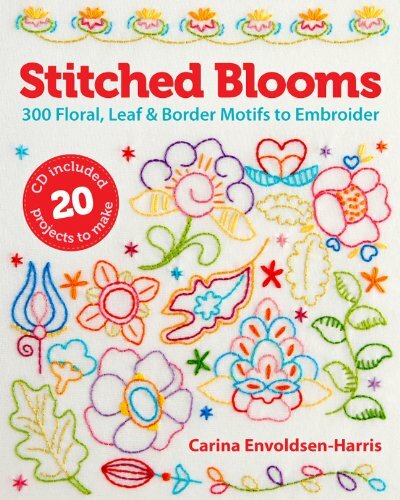 Some of the projects require you to sew something you have embroidered, but quite a few of them are embellishing ready made items. 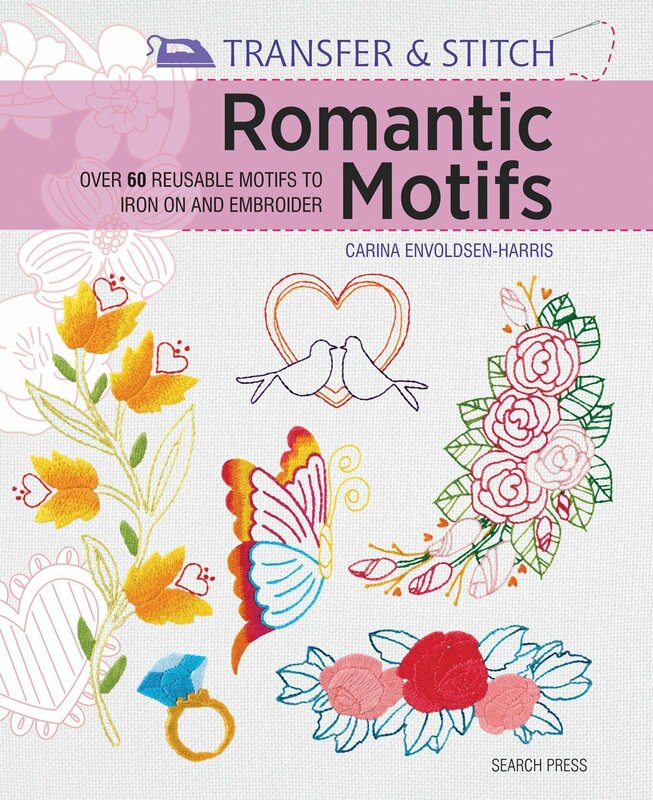 Which makes the book for someone new to sewing or who just want to embellish stuff. None of the projects are particularly complicated, so that’s also good for beginner sewers. 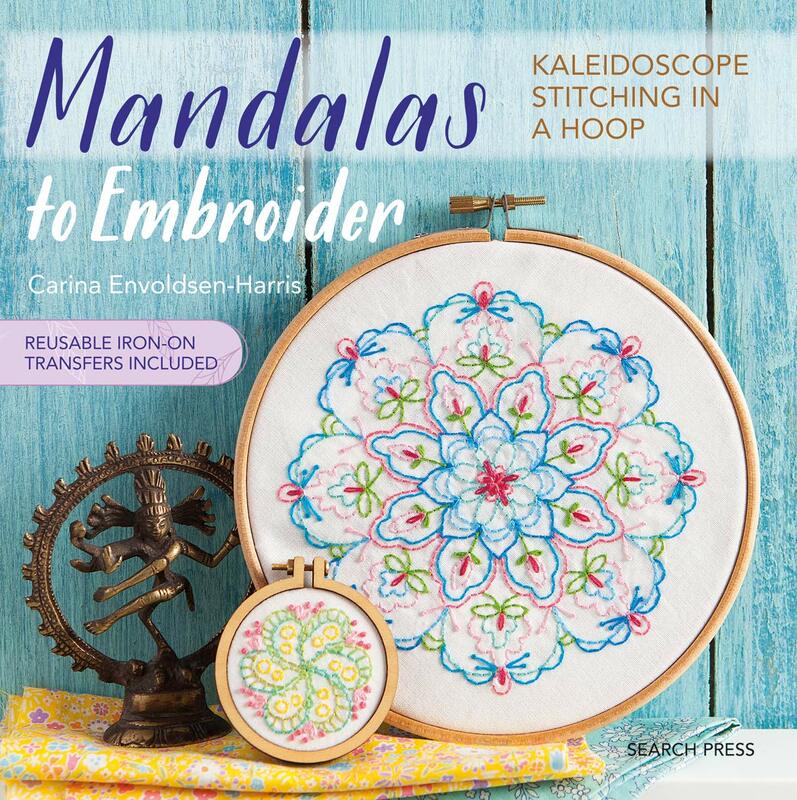 And as Karin says in the foreword, the projects are intended as inspiration, you don’t have to follow the projects to the letter. Which is a sentiment I wholeheartedly agree with! In the case of the projects you have to sew yourself, I think it’s a shame that only measurements in centimetres are included. A lot of people in the UK, but certainly in the US, still use inches. It would also have been easier to keep track of which step you’re at in the project instructions if they had been numbered or split up a bit more visually. But these are minor issues, so don’t let that discourage you! And the measurements can easily be converted with an online tools or a calculator. 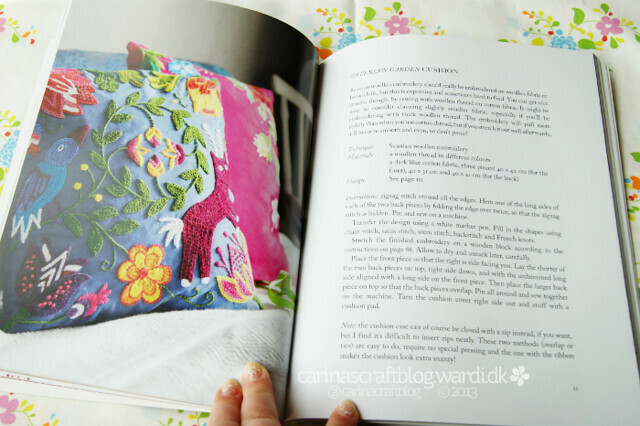 A section with an introduction to the basics of embroidery is included too: threads, fabric and other equipment. 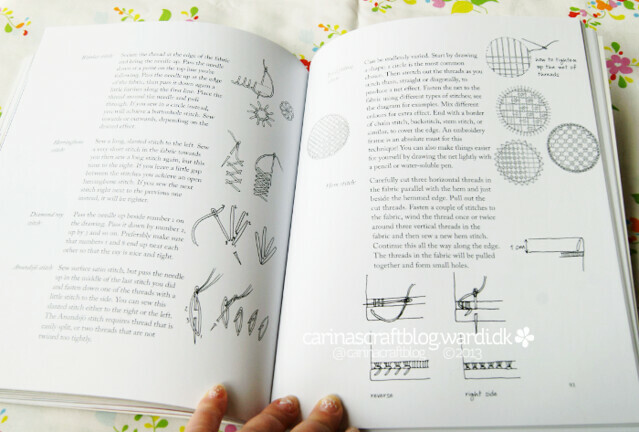 As well as a glossary of the stitches used in the projects. 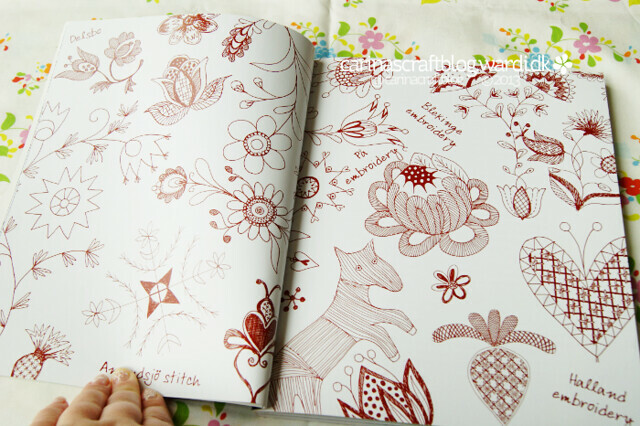 The patterns in the book all have a handdrawn look. 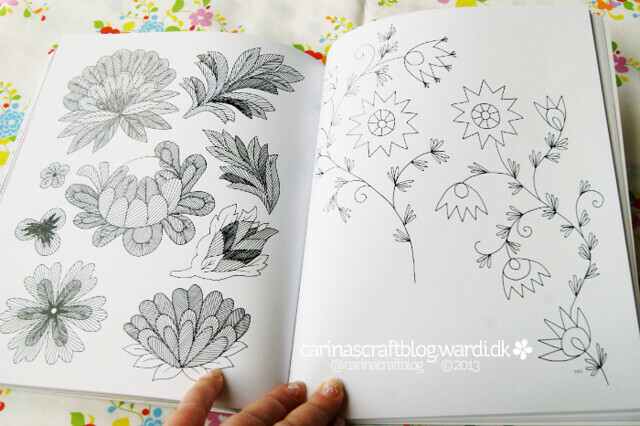 It gives them (and the book) a delightful personal touch – like you’re getting a peek into Karin’s sketchbook. The Swedish version actually used the drawings on the cover and I kinda wish they’d kept that – I think it really suits the book. And would make it stand out on the shelf in the book shop. 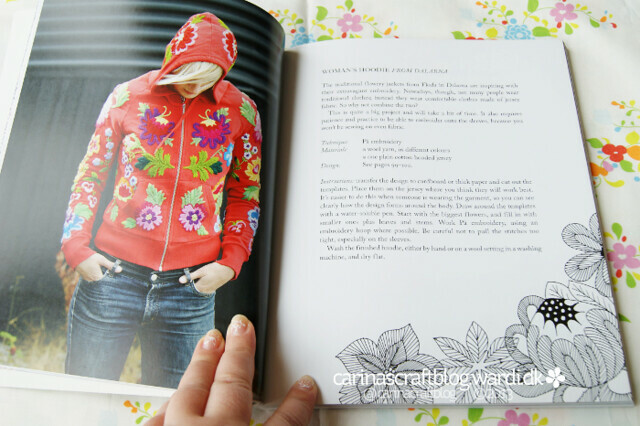 I’d looove to make something like this hoodie – Karin’s signature piece – it’s so cool and colourful! The publisher sent me a copy of the book, but the opinions in this review are my own. Links are Amazon affiliate links.